Cast your minds back. The year is 1993 and a 24-year-old Matthew is breaking out as an actor in coming-of-age film Dazed and Confused. Stealing most scenes with brilliantly quotable lines and an iconic character in Wooderson. He followed this three years later with a heartfelt and commanding performance as lawyer Jake Brigance in A Time to Kill – holding his own amongst a solid cast including Kevin Spacey, Samuel L Jackson and Donald Sutherland. The dramatic courtroom scene near the end gets me every time. He then floundered. From the early 2000s it seemed he just didn’t know what kind of actor to become, flitting back and forth between roles and genres until he found his calling. Sadly this turned out to be rom-coms, the ‘shirt off clause in my contract’ years. Whilst a lot of the films he did between 2001 (The Wedding Planner) and 2008 (Fool’s Gold) made money – you got the sense he was dying a little inside each time he picked up the script for yet another tedious and insipid rom-com. Ok, para-phrasing that quote doesn’t exactly work, but you get the idea. If you don’t, allow me to explain. 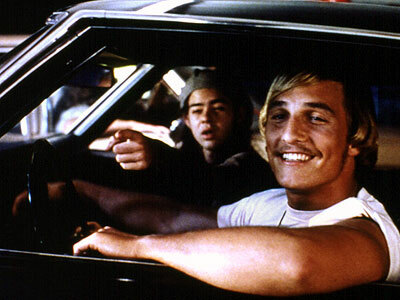 McConaughey has always had talent, that was clear from his early days. After A Time to Kill I counted myself as a fan, looking forward to his future roles. As you can imagine, I’ve had to steer clear for the best part of ten years until he began to move in a new direction. For me, Tropic Thunder in 2008 kick-started his revival. Perhaps he’d had enough of strutting around in romantic roles that offered little challenge. Perhaps he realised he needed to go back to basics, reminding himself of the character that launched his career, the slightly sleazy Wooderson in Dazed and Confused. This was where the fun was to be had. Which brings me on to Killer Joe. If you want to well and truly break away from rom-coms this is the way to do it. 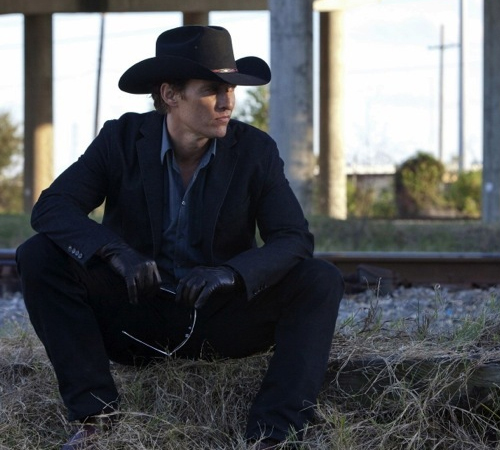 Cop by day, hired killer by night, McConaughey’s Joe is a truly mesmerising character for all the wrong reasons. The same way you cannot avert your eyes from something horrific, such as a car crash, Joe as a character is sublimely sleazy, twisted and malevolently sadistic, yet can switch moods at the drop of a hat. The climactic scene in this film that builds to – ahem, fried chicken – is perhaps the most uncomfortable thing I have seen in a long time. Key to this is McConaughey’s performance, utterly compelling. Puts me in mind of Dennis Hopper’s character in Blue Velvet, getting off on amyl nitrite. Once you’ve seen both films you’ll know what I mean. Then, in 2012, came Magic Mike. A fantastic supporting turn by McConaughey. Ok, it’s a film about male strippers so his shirt (and most other clothing) is off a lot of the time, but this is no rom-com. He’s poking fun at himself in a self-deprecating manner, mindful of what he’s done thus far in his career to get to this point. Either way, it’s a great change of direction and key to his future appeal as an actor. Coincidentally, in both films I’ve mentioned he sports a cowboy hat. Maybe he’s just returning to his Texan roots? Cue angry Texans messaging me now. Whatever the case may be, Hollywood is finally getting the message. Give this man some meaty roles that poke fun at his image and mix things up. All hail the renaissance of Matthew McConaughey! Secret State – proper thriller or nothing new?